Instead, you are getting the first in the Chick Pick Polish neons collection. 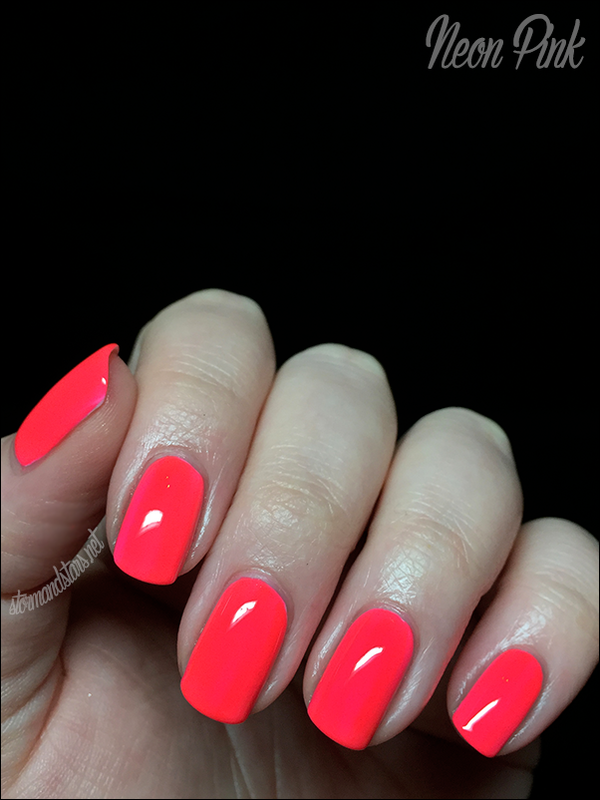 Neon Pink! Be warned, this color is BRIGHT. You should probably get your sunglasses... Ready? Wow!! 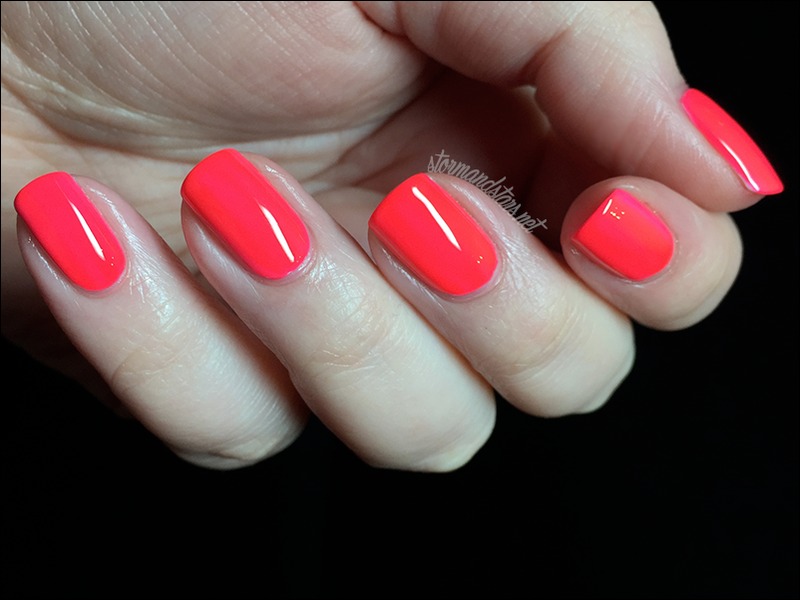 Neon Pink is a searing pink polish that leans more red on the nail than in the bottle. 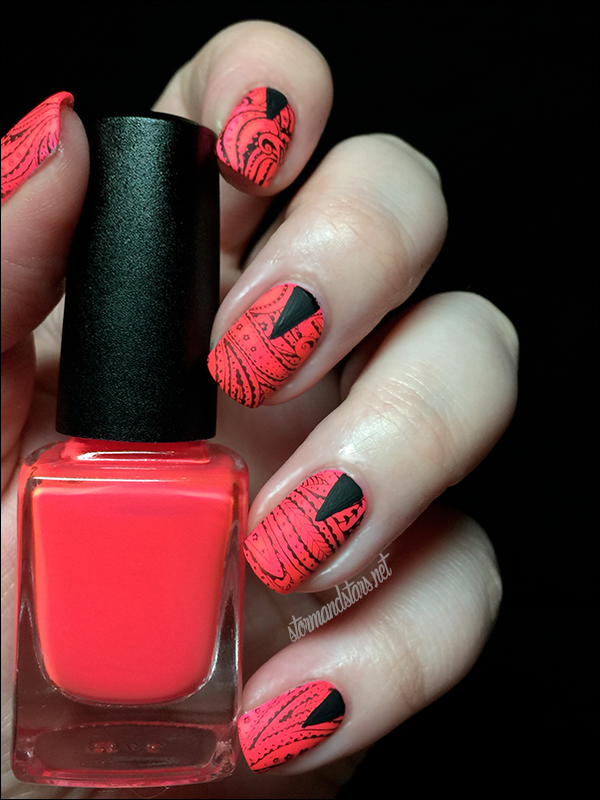 I layered two coats of Neon Pink over a base of white for this look. My camera completely freaked out over this color. 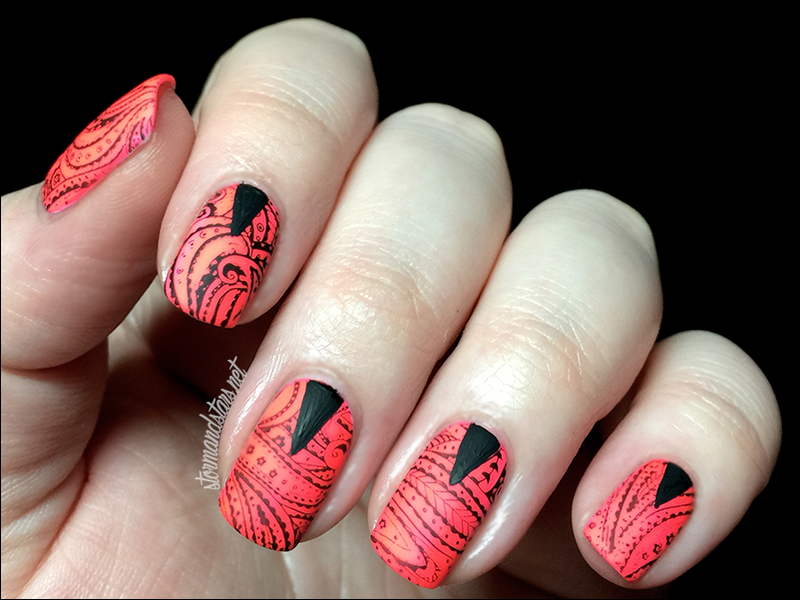 I added some stamping and freehand nail art to this look using Born Pretty Store plate BP-10 and a black striping polish. 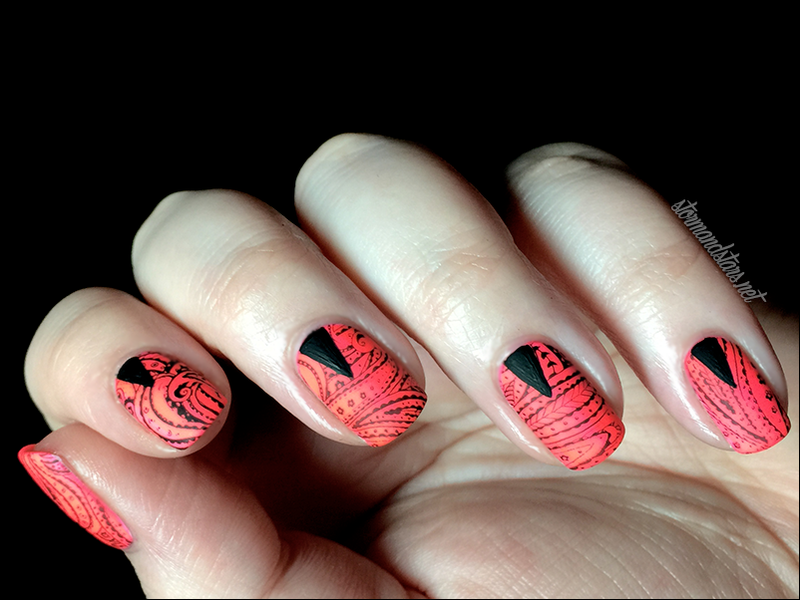 I stamped this design on with my squishy stamper and Cult Nails Nevermore and then added a matte topcoat before adding the freehand design. For some reason the matte finish on this freaked out my camera even more than usual. Even with the freaked out camera, I really love this look. You can purchase the stamping plate from Born Pretty Store. Use my code AGBQ10 for 10% off your entire order. As always, Born Pretty Store provides free worldwide shipping on all orders! 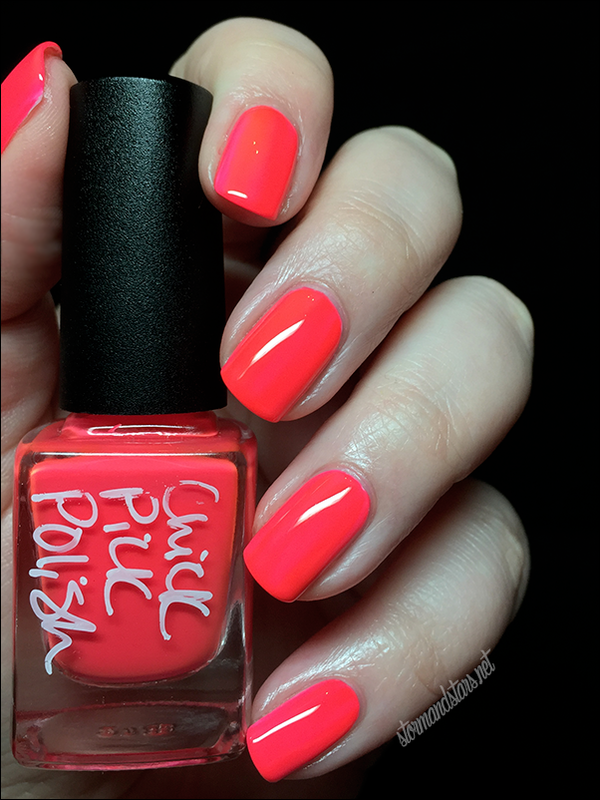 You can find this, the rest of the Neon Collection and more Chick Pick Polishes in their shop over here. Make sure to follow them on social media for news about new collections, sales and to see more swatches!